The larvae of this species feed chiefly on several introduced grasses such as Guinea grass (Megathrysus maximus – Guinea grass). Mature larvae creamish-white to 15 mm long. 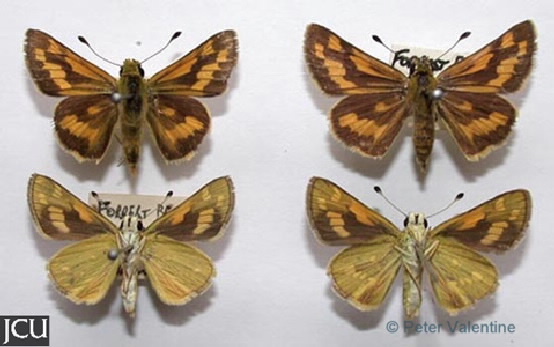 Adults brown with orange markings, lower surface paler, dull yellow with yellow spots.